There are many Apps on the Apple Store guiding you with your fertile days but this one claims to be different. 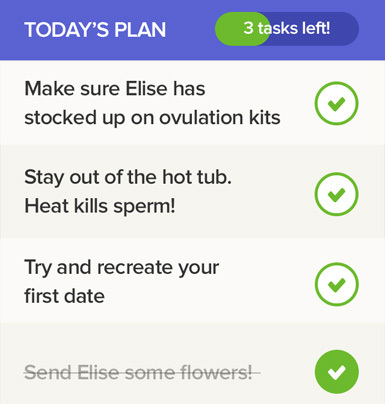 Started by Max Levchin the cofounder of PayPal and Slide, the Glow App which was launched today will help you and your spouse get pregnant the easy way. Infertility is often caused by ignorance and stress, so the App make it easy for you and your partner to plan ahead using a very nice interface. The female partner has to enter in their personal information at the launch and then every day and then let the App take over. 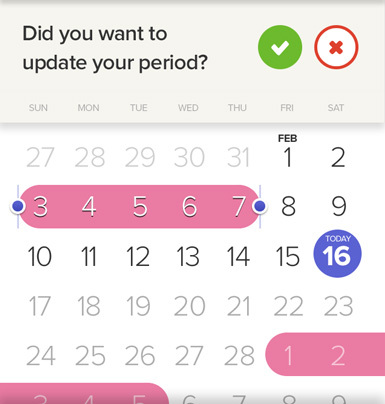 The App then analyzes this data to give you a estimated fertility window via a nice calendar interface with the dates marked up to give you estimate '% Chance' of getting pregnant. The daily data the female partner has to enter daily includes morning temperature, vitamins (if they are having dosage) and cervical mucus. The App also provides personalized stats and recommendations. The service includes a “companion” app for the woman’s partner. - Receive support and notifications through the app from your partner. Tired? Stressed? Agitated? Tell our app and we’ll make sure that your partner is aware of your needs. And we will provide them with helpful suggestions on how to make you feel supported. - Optional passcode to access app prevents others from seeing your information. - Opportunity to join Glow First™, the world’s first fertility funding community. If you want to give it a try download it from Apple Store now.